Renee Mendez is a talented artist living in a small Illinois town. She loves drawing the strange beings that feature in her dreams, without realizing that when she depicts them on paper, they come to life in the real world. These gods begin to seek worshippers and battle for supremacy, killing humans and each other until only the two strongest remain. 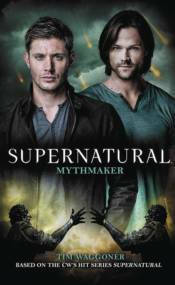 Sam and Dean come to town to investigate the murders and 'miracles' these new gods perform, slaying some of them in the process. The last two gods standing prepare for their final conflict, which only one will survive. The brothers must find a way to stop the gods' war before the entire town is destroyed.